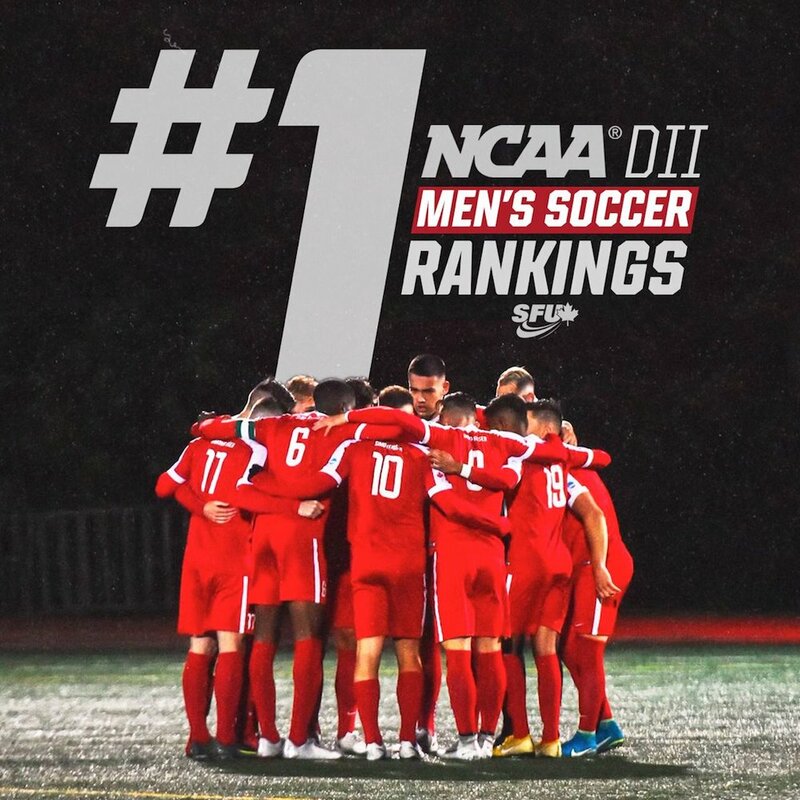 That’s because head coach Clint Schneider and the Clan got the news that its SFU program had ascended to No. 1 this week in the United Soccer Coaches NCAA Div. 2 national poll. In 2018, a total of 212 schools field NCAA Div. 2 men’s soccer teams. Simon Fraser had started the season at No. 20, moved to No. 4 and last week to No. 3 as it went about compiling a perfect 8-0-0 record to start the current season. 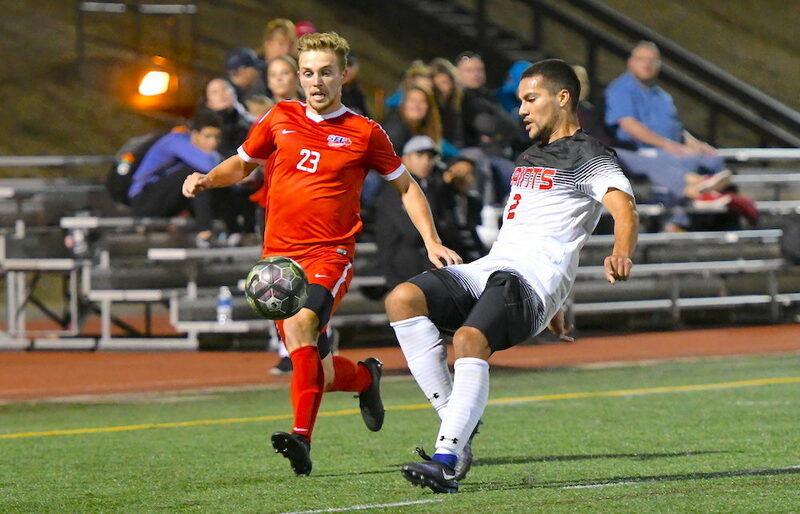 As well, a 2-0 start to the Great Northwest Athletic Conference season which has seen the Clan outscore Montana State Billings and St. Martin’s by a 10-1 goals for-and-against margin, gives the team an 11-0 conference win streak dating back to last season. Yet from Schneider’s standpoint, the biggest message is that everything that has gone into making this season’s start so resounding is exactly what must continue, and for the stretch of a long GNAC season just beginning, if the true meaning of their struggle is to realized with a national title. If anything, Tuesday’s news is further evidence of the talent contained within the Clan’s ranks. As it prepares to face Portland’s Concordia Cavaliers (1-0-0) on Thursday (7 p.m.) at its own Terry Fox Field fortress atop Burnaby Mountain, the Clan comes into play with three players — Matteo Polisi, Mamadi Camara, Connor Glennon — all sporting resumes of 20-plus points. And the challenge for Schneider and staff is to keep the team pointed in a direction where its focus is constantly being sharpened. If there is pressure, Schneider says, it’s not going to come from a ranking, but rather from a requirement that comes with pulling on the team’s practice or game jersey each day during the season.